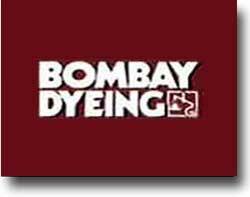 Established by Nowrosjee Wadia in the year 1879 as a small operation of Indian spun cotton yarn dip-dyed by hand, Bombay Dyeing has today grown to be one of the most respected and trusted brands in the country. Since the first store in the year 1879 and Wadia being the only store manager, the growth has not only been in the company's presence, but also in of how much the organization offers today. Products like Stylish linens, towels, home furnishings, leisure clothing, kids wear and a whole blissful range of other products are now available across the 350+ exclusive Bombay Dyeing Retail or 2000+ Multi-brand Stores. All products come with the hallmark finish, great textures, detailed design to match the latest trends and fine quality which has been synonymous with Bombay Dyeing for over a century. Delivering the best designer products at an outstanding value for money has always been the motto and forte of the organization. Bombay Dyeing as an organization is driven by the vision to excel and the Wadia Group has scaled greater heights in the feild of entrepreneurship. It has been committed to the advancement and innovation, the Wadia Group constantly has been looking for means to reinvent itself and set fresh standards of quality. NEW FASHION POINT is the firm name and is a MILLS APPROVED SHOWROOM OF BOMBAY DYEING & Mfg. Co. L.t.d India's largest textile company. NEW FASHION POINT was established in 1990 by Mr Harbhajan Singh and Mr Harvinder Singh. Since then it has been one of the leading showrooms in Delhi trading in all types of Bombay Dyeing products. Bombay Dyeing was awarded the Super Brand 2006-2007 in recognition of its commitment to constantly providing value to the customer. Images Fashion Award 2006 as Best Brand in the Home Fashion Category. Home and Lifestyle - Retailer of the year 2005 award, instituted by ICICI bank Payment Solutions and KSA Technopa. The chic new collection is inspired by all that's hip in the city. The Urban Living collection will satisfy your needs for the extraordinary. Urban Living is where Haute Couture meets décore. It's a unique approach to design where art fashion harmoniously fuses with classic essence of home luxury. Inspired by the loveliest season of the year, Bombay Dyeing presents the Autumn Desires collection. With multiple design options that feature delightfully stylish autumn, floral and nature inspired motifs, this collection will surely add that little magic to your bedroom. The Country Romance bed and bath collection captures the essence of the country-side and brings it into your home. The Sabysachi signature line for Bombay Dyeing features his trademark eclectic, avant-grade fusion approach. Also in the offering is his Tao collection that draws inspiration from the Orient, his Art and Classic line which is a play of exquisite designs and colors, and Suite 16 - an elegant floral collection that brings the English countryside to your home. The inimitable Wendell Rodricks and Bombay Dyeing bring an exclusive collection of pristine white weaves to India. Wendell known to create magic with white has created luxury bed and bath linens for the very first time. Each of these pieces have been crafted and detailed to deliver superior indulgent feel and extraordinary comfort. Mass Bed Linen - Geometric, contrasting shades and deep dynamic colours identify the new bed sheet collection of Bombay Dyeing called Savanna. The unisex collection from Bombay Dyeing has a unique look appealing to those with bold and adventurous tastes.Trendy color combinations like coffee and olive truly make this collection a treat for any nature lover. Open up your homes to Hi Tide, a new collection from Bombay Dyeing. Hi Tide comprises of 100% cotton bed sheet with shiny and silky finish. The abstract geometric motifs have been combined to create a tidal elegance and sophistication at your home space. Eternia collection from Bombay Dyeing will beautify your bed room and contemporize your sleeping space with modern floral, botanical and abstract designs printed on smooth fabric. It comes in super king size. Emphasizing the concept of 'Healthy Living' these bed sheets, in fresh floral, geometric and abstract patterns express the purity of nature. These special anti-bacteria finish controls dust-mites, mildew, bacteria and mold. These trendy bed sheets in bold and vivid colors, with youthful spirit of fun adventure and dynamism add color to life. Bombay Dyeing Floral Fantasy collection is a perfect combination of nature and art. Details of the perfection and this particular collection is specially crafted keeping in mind the requirements of the masses.Coming from the finest gardens, Bombay Dyeing brings to you the Blush bed sheet collection. With vines and flowers, they intend to introduce the warmth of nature to your bed room. Bed sheets in vivacious geometric and floral designs brighten everyday. This collection plays with plethora of colors and designs to add magic to your bed room. The economy range of printed bed sheet collection is inspired by the traditional flower motifs and lively colors. Experience the sensuousness of Silk and also the blended with anti-bacterial property of bamboo and functionality of cotton. This combination imparts a luxurious sheen to the towel and is soft on the skin. Experience its gentle caress as it transports you from shower to lush greenery. Bombay Dyeing presents eco-friendly towels which are made up of Soya fiber. Soya is extremely versatile and known for its health benefits. The fiber is lustrous and soft to touch. These Soya cottons are a part of the Nature's Bouquet range of supreme premium, eco-friendly towels. Exquisite linen towels, part of Nature's Bouquet range of super premium range of Bombay Dyeing, are made from fine linen blended with cotton and re-generated cellulose. Lushness, durability and absorbency are the hallmarks of this natural towel. The Bombay Dyeing Mfg. Co. Ltd: Bombay Dyeing & Manufacturing Co. Ltd is India's leading producer of textiles. Go Air: go Air is a low-cost carrier promoted by Bombay Dyeing Group. Bombay Dyeing - DMT: Bombay Dyeing - DMT is the largest manufacturer of Dimethyl Terephthalate (DMT) in India. DMT is a raw material for the manufacturer of Polyester fibre, film, filament & yarn and engineering plastics. National Peroxide Ltd.: The company is a pioneer and leader in India in peroxygen chemicals. Bombay Burmah Trading Corpn Ltd: The company is engaged in plantations and produces tea, coffee, cardamom, black pepper and rubber. Britannia Industries Ltd: It is the largest company in the Indian Food processing industry. Its product range includes Breads and Cakes. Wadia BSN India Ltd: The company was set up in 1994 through tie-up between the Wadias & Groupe Danone. It plans to introduce packaged foods from the Danone's international range. Formica India Division: The company produces high grade industrial laminates for the electronic, electrical and other industries. B.R.T Ltd: The company produces textile machinery accessories. It is the market leader in ring, ring travellers, open end rotors and opening roller-spinning machinery accessories for cotton and synthetic yarns. BCL Springs Division: BCL Springs Division is the second largest producer of precision springs. It is a trusted brand in the automobile, consumer durable, electrical, textile & ammunition industries. Afcoset Balances Division: Market leader in laboratory weighing equipment in India. Afco Industrial and Chemicals Ltd: Product range includes battery chargers, DC systems, Inverters & converters, static voltage regulators & heat sinks. Dental Products of India: Largest manufacturer of consumable dental products. Medical Microtechnology Ltd: Manufacturer of high precision titanium ophtalmic micro surgical instruments. Instruments Orthopaedics: Market Leader in Orthopaedic implants, instruments and equipment in India. Its range includes various implants for the hip, knees, and several types of screws, nails, plates and prostheses. Gherzi Eastern Limited: Gherzi Eastern Limited is a joint venture public limited company between Bombay Dyeing Group and Gherzi Organisation, Zurich (Switzerland). The company was formed to provide consultancy services in the field of textile industry. Today, the company has diversified its services in the field of Transportation / Highways, Bridges / Flyovers, Environment, Townships, Housing, Urban development, Water and Waste Water Engineering, Tourism, Hotels, Industrial projects and other infrastructural projects.